Let us know. You and your family should feel you can always voice your concerns. The first step is to discuss your concerns with your doctor, nurse, or other caregiver. If you have concerns that are not resolved, please contact us. The contents and emails (feedback) generated from this website are intended to be informational and educational. 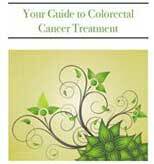 Colon & Rectal Surgery Associates does not give specific medical advice on its website. For medical advice or concerns, please contact your physician directly. While Colon & Rectal Surgery Associates appreciates any and all feedback, we make no guarantee or warranty that we will respond to all feedback or that we will respond in a certain timeframe. This electronic form is not secure and is not intended for immediate communication including appointment information or medical issues and inquiries with your heath care professional.